The Canadian Mountain Running Association (CMRA) is excited to announce the locations of the 2015 Canadian Mountain Running Championships, Canadian Long Distance Mountain Running Championships and the Canadian Mountain Running Qualifying Series. The 2015 Canadian Mountain Running Championships will be hosted by 5Peaks in beautiful Vancouver, BC at Cypress Mountain on July 18th, 2015. The race will be held in conjunction with the 12th NACAC Mountain Running Championships which will feature top mountain runners from Canada, the United States and Mexico. The Canadian team will be looking to regain the title of NACAC Champions, a title which has eluded them since the championships were last hosted in Canada in 2012. The Canadian Championships are the qualifying race for the national team which will compete at the World Mountain Running Championships in Wales on September 19, 2015. Prize money will be awarded to the top Canadian finishers at the national championships. The 2015 Canadian Long Distance Mountain Running Championships will be held in Vernon, BC at The North Face Dirty Feet Kal Park 50 on May 3rd, 2015. Prize money will be awarded to the top three finishers in the men's and women's races. The Long Distance Championships are the qualifying race for the national team which will compete at the World Long Distance Mountain Running Championships in Zermatt, Switzerland on July 4th, 2015. In order to qualify for the Canadian Mountain Running Championships, athletes need to qualify by running the Canadian Mountain Running Regional Qualifying Series before the Championships. The Canadian Mountain Running Regional Qualifying Series is a set of four of the biggest mountain running races in the country; one designated for each region of Canada. Any runner who places top 3 in their age category at any one of the four races will be automatically qualified for nationals. The National Championships will feature not only the senior class, but a junior and master�s category as well, so all interested runners, regardless of age, are encouraged to race one of the qualifying events. The top runners from the national championships in the junior and senior category will also be selected to represent Canada at the World Mountain Running Championships on September 19th, 2015 in Wales. Become a member of the Canadian Mountain Running Association by downloading the 2015 CMRA Membership Form. 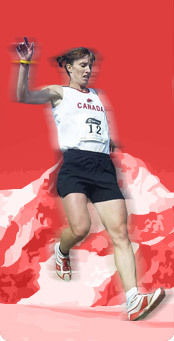 Only members of the Canadian Mountain Running Association are eligible to be selected for the national team, and must be members before racing at the national championships. Members receive discounts and a free subscription to the Canadian Running Magazine. The 2015 National Team Selection Criteria for the Canadian National Teams can be found in the link attached.